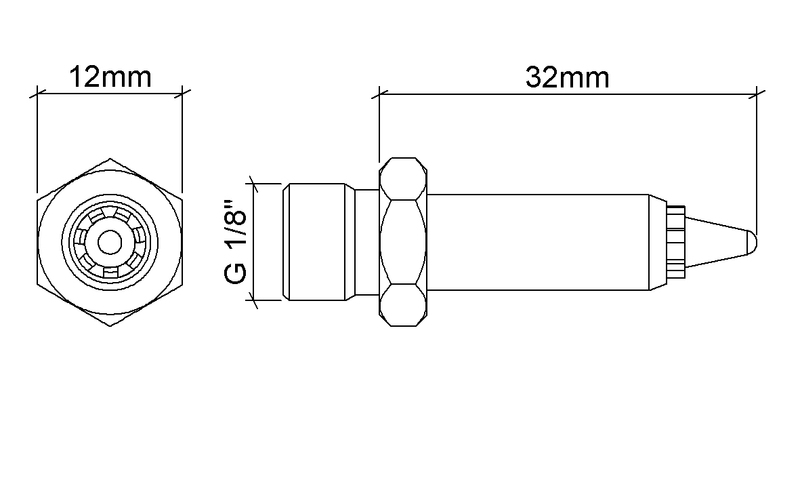 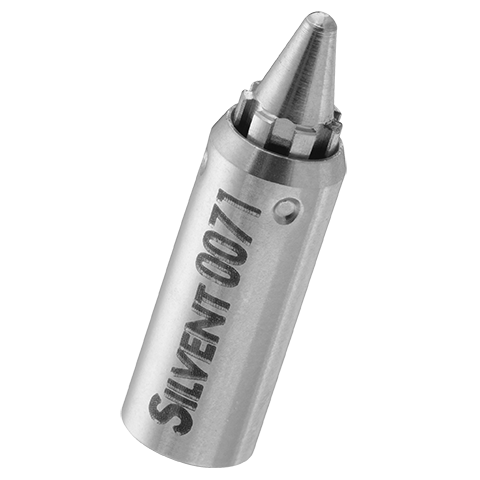 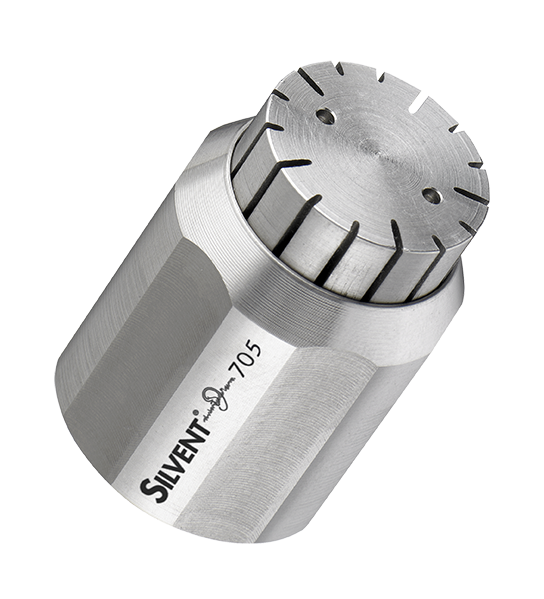 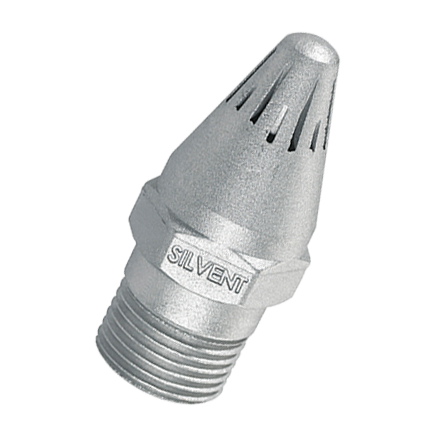 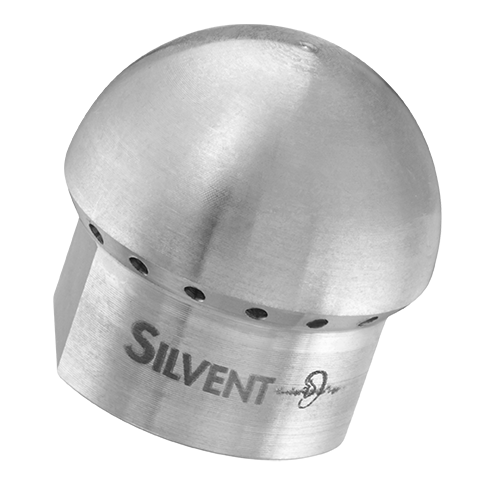 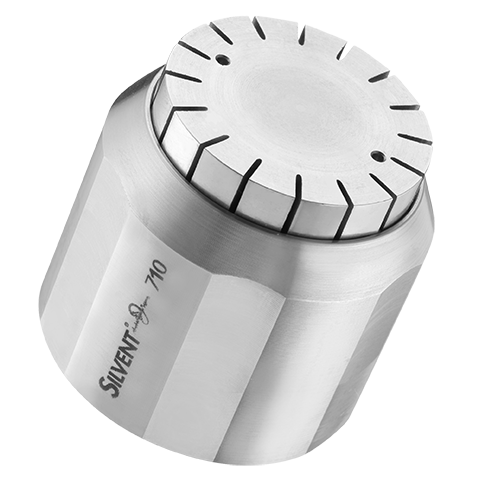 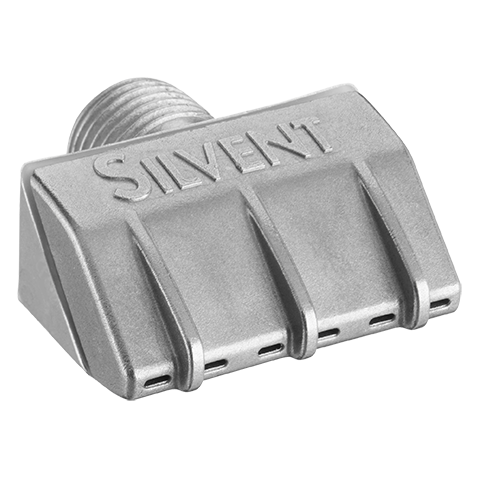 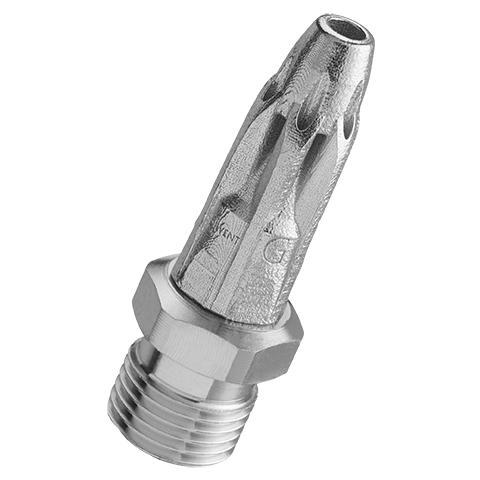 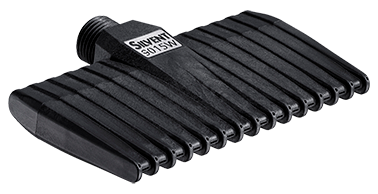 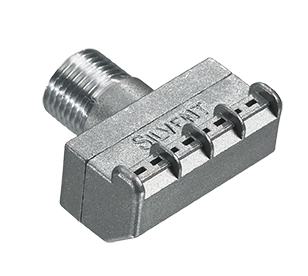 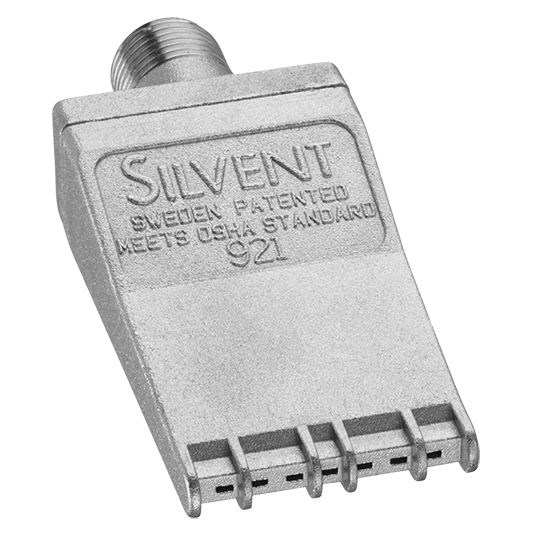 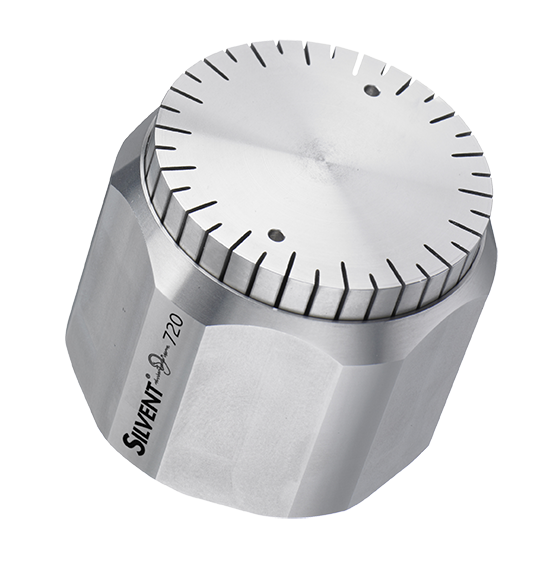 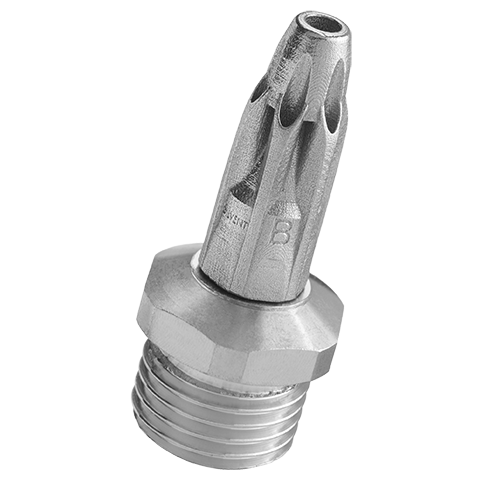 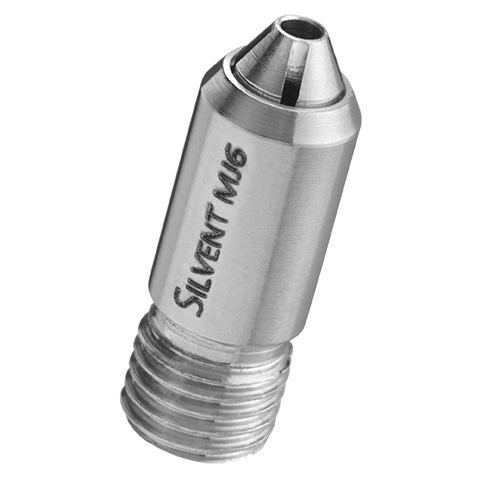 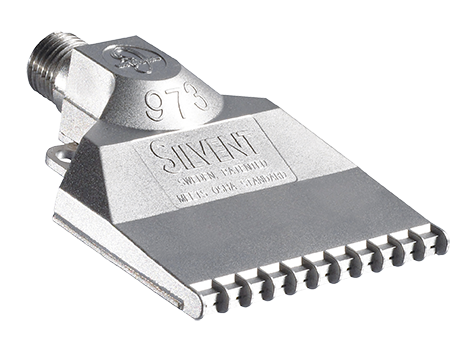 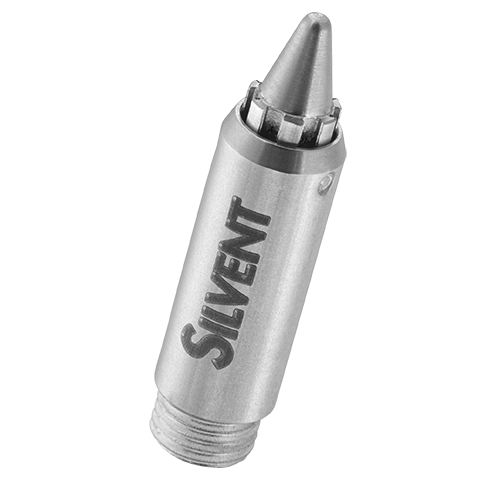 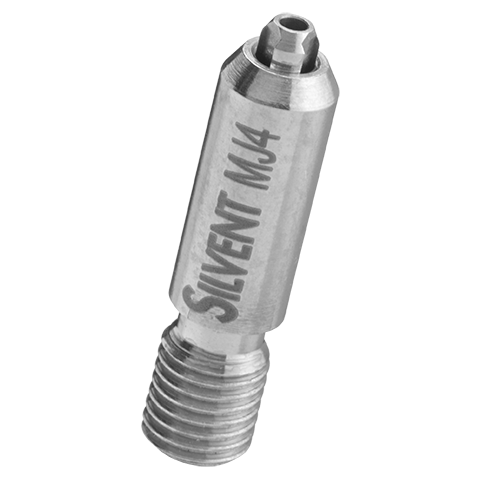 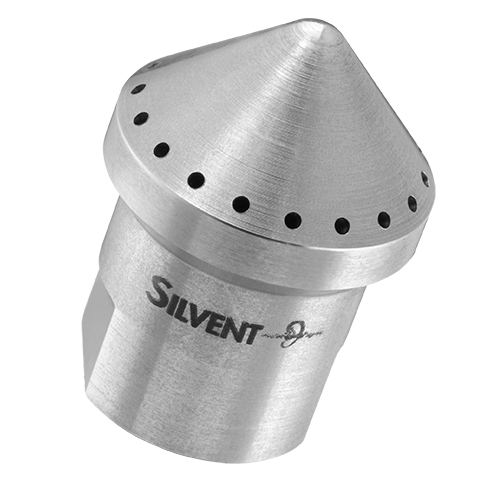 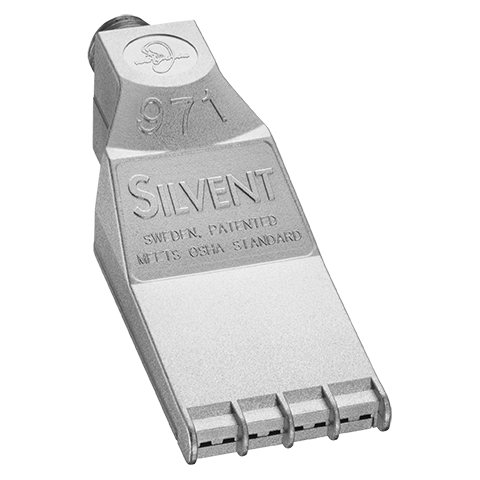 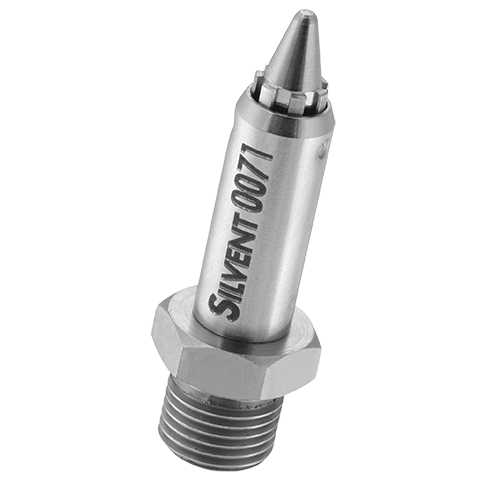 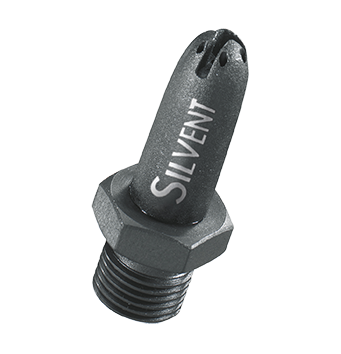 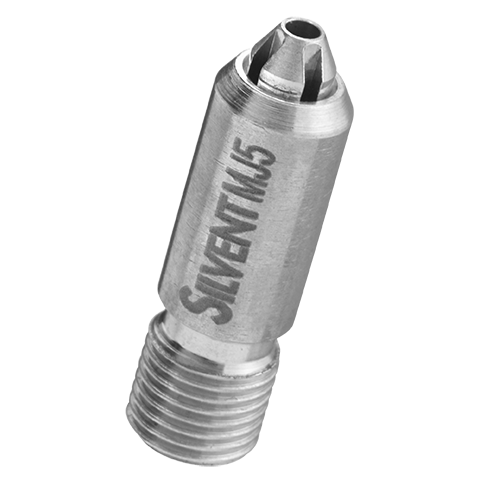 SILVENT 011: a robust stainless steel nozzle. 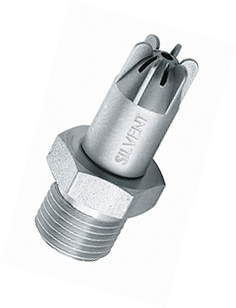 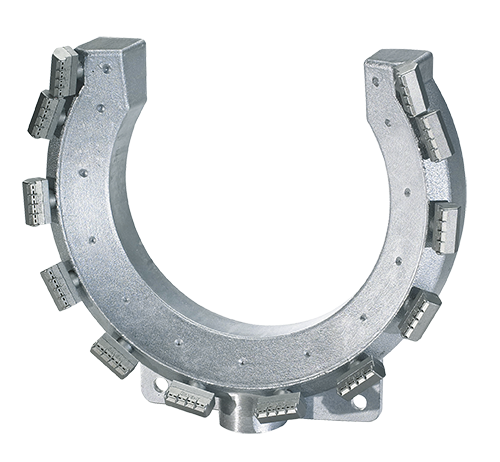 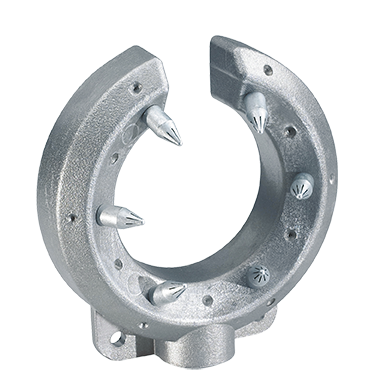 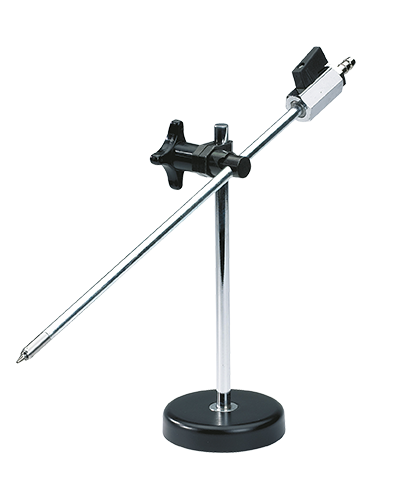 Stainless steel is necessary in applications involving e.g. 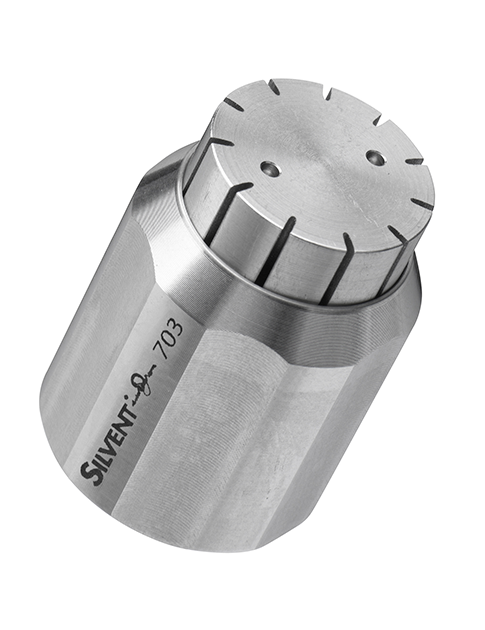 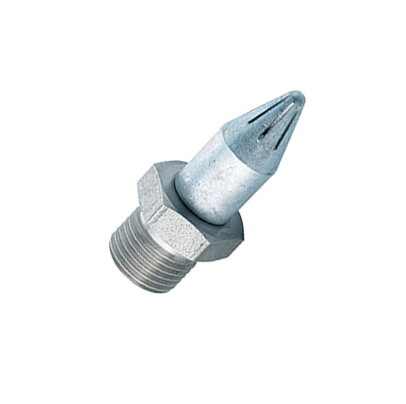 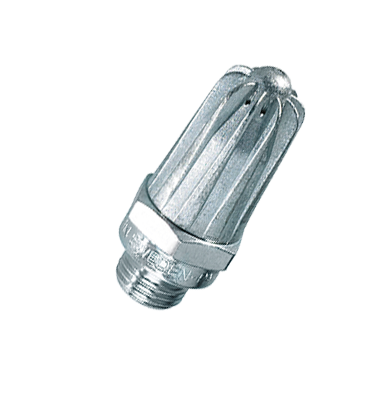 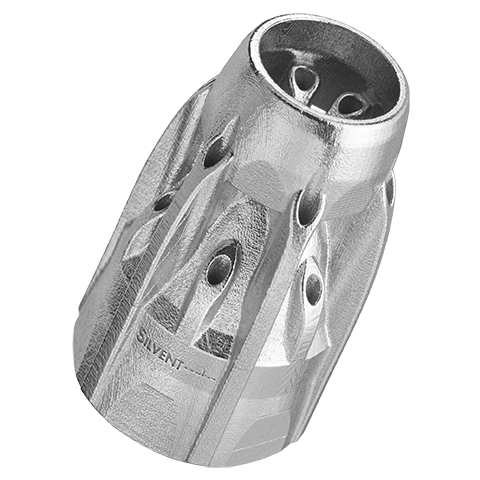 high ambient temperatures, the food processing industry, or intensive mechanical nozzle wear. 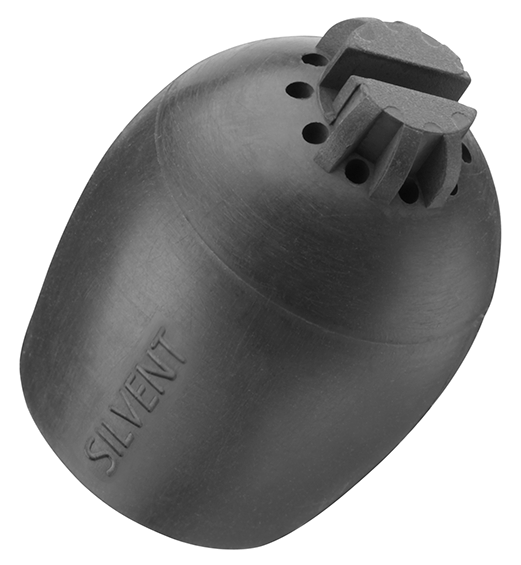 Noise level is halved and energy savings are considerable in comparison with "open pipe blowing". 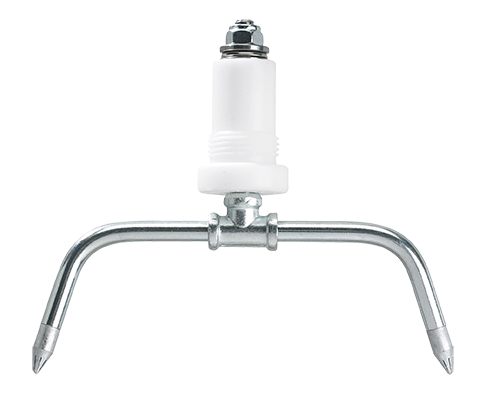 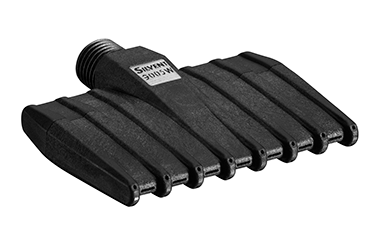 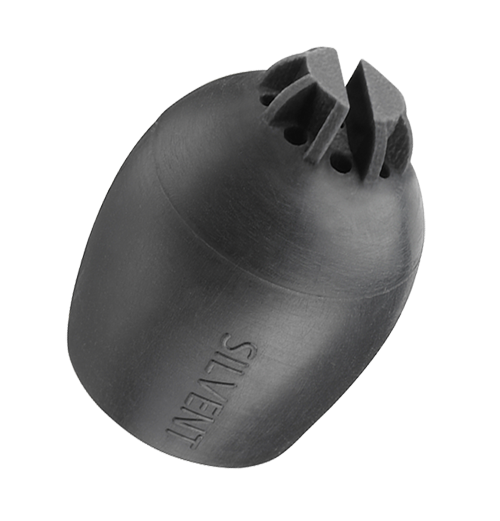 Withstands tough conditions and fulfills OSHA safety requirements limiting air pressure in direct contact with skin to 210 kPa (30 psi). 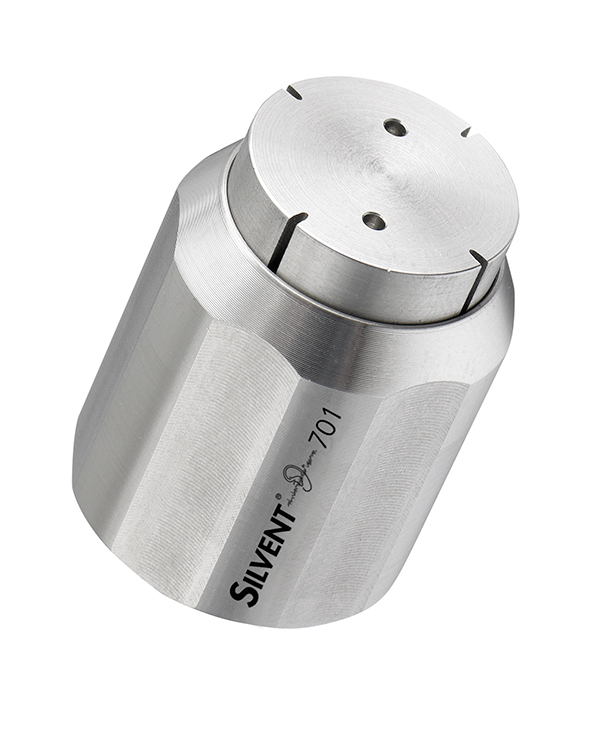 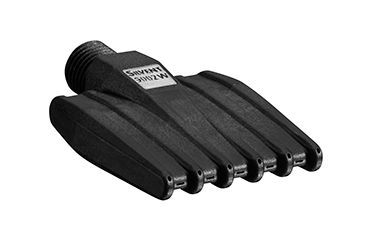 Also meets EU Machine Directive noise restrictions.